TELE System introduces the new TS6811T2 HEVC, the Digital Terrestrial Receiver of 3° generation. 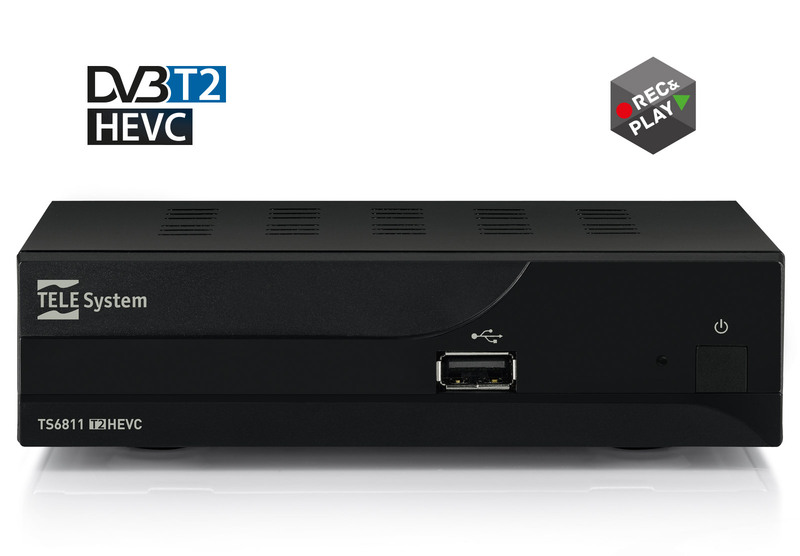 Ready to receive the new DVB-T2 channels and thanks also to the HDMI port, it will provide the possibility to watch the TV in the highest audio/video quality. Connecting a HDD trough the USB port located on the front panel, the user can easily record the favourite programs and movie s just selecting the REC & PLAY function. The TS6811 could be also represent a media player device to play music, photos and video directly on the TV, also in the newest Mpeg4 H.265 compression. The LCN “Logical Channel Number” function sorts the channel list in a logic and automatic way, while the EPG “Electronic Program Guide” will provide always updated information. Remote control and batteries included into the giftbox.